Garden View is a complete and integrated outdoor construction, swimming pool contractor, nursery, and maintenance company. The intent of the company is to provide high quality interrelated outdoor services mostly done with our own in-house crews. Having our own crews allows for competitive pricing, quality, and schedule control. Garden View Landscaping can take you from a design idea or concept to a fully-finished, detail-oriented garden. Established in 1978, Garden View and our clientele are recipients of 75 Awards from the California Landscape Contractors Association! Garden View owns its own large nursery, employs landscapers, masons and other specialty workers. The synergy between having our own Designer/project managers, in-house crews, our own large nursery and being a licensed pool builder provides for efficiency, competitive pricing and quality and schedule control. Mark Meahl, president and founder of Garden View, is intimately involved with the conception of the design through completion and is involved daily during construction. The talented design team of Richard Riedel, Edward, and Jeff Webber is pivotal in designing and managing the project throughout construction. Our philosophy is that each project should have a unique balance and connection to the property's overall landscape and architecture. We view each of our watershapes as a unique work of art and use only top industry professionals, select finish products, and proven technologies. This skillful combination of engineering, form, and fit is the signature of our watershapes. Our company was founded on the principles of hard work, exceptional customer service and a focused attitude. It’s these qualities – along with our outstanding quality – that keep our customers satisfied. We have renovated many pools in the area, and we have a list of references available upon request. We maintain our excellent reputation for quality by maintaining friendly relationships with our customers. We want each customer to feel comfortable with the remodeling process, so we welcome any questions or concerns at all times. Contact us today for more information. What exactly do Pasadena pool builders do? If you are planning for a new pool in Pasadena, CA, a swimming pool builder will analyze your outdoor space and your aesthetic wishes to determine an appropriate design for your yard, installing it once the plan is developed and approved. Once installed, some pool companies in Pasadena, CA can handle the necessary cleanings, water testing, renovations and equipment replacement or repairs for your pool or spa. If not, many can also suggest Pasadena, CA swimming pool contractors or maintenance services to help with upkeep or repairs down the road. Here are some related professionals and vendors to complement the work of swimming pool builders: Garden & Landscape Supplies, Landscape Architects & Landscape Designers, General Contractors, Landscape Contractors, Solar Energy Contractors. Before hiring a swimming pool construction company to create your new Pasadena, CA pool, determine how you'll be using it. Will it be for fun or for lap exercise? Will the primary users be children, adults or a mix of the two? Knowing the use can help you find Pasadena pool builders who shares your aesthetic. Once you find swimming pool builders in Pasadena, CA who share your style, research is critical. Review customer references and comments, collect at least three to four estimates to compare, meet with potential Pasadena pool designers and builders in person and ensure that they are California certified service professionals and licensed with the registrar of contractors before making any final decisions. In addition, get a sense whether they plan to complete the pool installation and be done with it, or whether they seem interested in building a long-term relationship with you. Be wary of the former: it's likely a reflection on the level of quality of the pool construction they do. Find a Pasadena pool contractor or designer on Houzz. 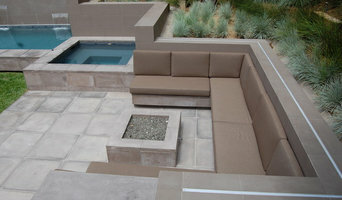 Narrow your search in the Professionals section of the website to pool builders in Pasadena, CA. You can also look through Pasadena, CA photos by style to find a pool or spa you like, then contact the local pool company who designed it.